You're Here to Grow Your Business. Sweet. Let's Do It. 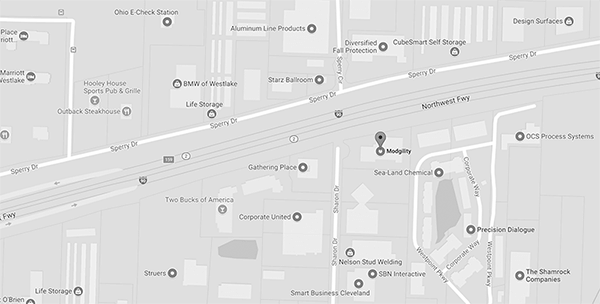 Our software engineers work with companies, primarily in the Cleveland area, interested in developing custom software based products, improving efficiency and lowering cost with automation and / or web-based customer service solutions. We work with you to provide consistent long-term growth for your business year-over-year. We don't offer packages or partial solutions. We work with companies that are serious about improving their top line results. Everyday, we develop high quality software for business portals, web applications, applications for company intranets, desktop applications, and mobile applications. The problem with the traditional approach to web design is that it requires a significant time investment, large up-front costs and there’s a high probability that the project will run late and be over-budget. As an independent app developer or as an extension of your team, we can help with mobile apps, whether they are for mobile phones or tablets that use Android or iOS operating systems. Develop an integrated marketing and sales strategy that works. Stop doing random acts of digital marketing. Instead, we'll provide you with a proven plan for rapid business growth. Startup ventures, expansions, and business process automation create a demand for innovative software solutions. With proper project management, we can bring your novel ideas to life on a reasonable budget. Close more sales with less work. Stop annoying people with ineffective cold sales outreach. Instead, we'll help you transform your sales process to match the way people buy across the entire sales cycle. For over 18 years we’ve enabled client success with digital technologies. We understand how to make the lastest digital technology work for your business. Our team is passionate about leveraging the latest technology to deliver agile business solutions.